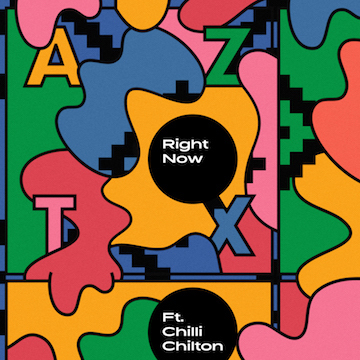 Having ended 2018 on a high after writing and producing tracks for Mullally, Dusky Grey and Detroit singer Apropos, rising Blackpool producers AZTX drop their addictive fourth single, Right Now, today. Featuring London singer Chilli Chilton, who they met whilst working in a studio in Brixton, the track starts out with a simple piano melody before bursting into an addictive pop belter, full of gorgeous vocal hooks and an infectious energy. It’s their best track yet, so expect to see this popping up soon on new dance/pop playlists next to the likes of Jess Glynne and Anne-Marie. Early online tastemaker support has come from Essentially Pop, Acid Stag and Fame following previous praise from Clash, Aupium, and New Wave District. With a trip to the States booked in for later this year to work on producing music for artists as well as their own, AZTX have another exciting year ahead of them.